WASHINGTON. April 14 (Interfax) – If the currently discussed U.S. legislation on new anti-Russian sanctions is enacted, its implementation is going to be either delayed or unlikely to affect those banks whose problems could actually change the general economic situation in Russia, Accounts Chamber head Alexei Kudrin said. “I suppose that the framework provisions are going to be adopted, but the very application with regard to specific Russian banks is going to be delayed. It will be either marginal or not applicable to any key lenders. It will most likely be more of a deterrent measure rather than actual application,” Kudrin told reporters. “It is implied in the framework act in question that the [U.S.] president himself will introduce sanctions afterwards. What does it particularly say? First, he must introduce sanctions against at least one of all those banks. The question is which of those five state banks is going to be targeted. The sanctions against some banks, if introduced, would not change our situation, while those against some others would. So I think that is not going to apply to all the banks at first, but rather to one bank that wouldn’t change the situation in the Russian economy. 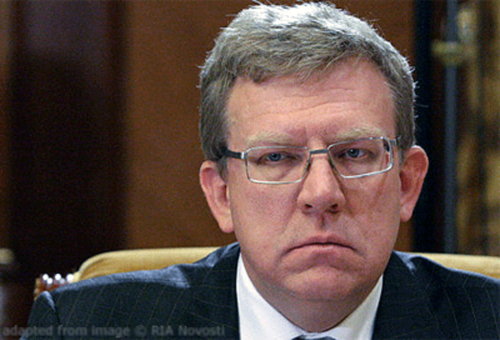 I think that is what the first step is going to be like,” Kudrin said. Republicans Lindsey Graham and Cory Gardner, and Democrats Bob Menendez, Ben Cardin and Jeanne Shaheen introduced on February a new bill on anti-Russian sanctions over U.S. elections titled “Defending American Security from Kremlin Aggression Act of 2019” (DASKA). The authors of the legislative initiative propose a ban on transactions with new Russian sovereign debt. The sanctions are supposed to affect those Russian financial institutions that have somehow “provided financial or other support for interference by the Government of the Russian Federation in the democratic process or elections of any country other than the Russian Federation.” They will also target Russian LNG-projects developed outside of Russia.